Start The New Year Right – Rip One For The RIAA! On Slashdot “Ripping CDs to iPod not ‘Fair Use'”. While the RIAA might want to turn back time and make ripping CDs illegal, that’s not what it’s doing. It‚Äôs okay to copy music onto an analog cassette, but not for commercial purposes. It‚Äôs also okay to copy music onto special Audio CD-R‚Äôs, mini-discs, and digital tapes (because royalties have been paid on them) ‚Äì but, again, not for commercial purposes. The copy is just for your personal use. It‚Äôs not a personal use ‚Äì in fact, it‚Äôs illegal ‚Äì to give away the copy or lend it to others for copying. Remember, it‚Äôs never okay to sell or make commercial use of a copy that you make. In other words, if you’re ripping your CDs for use on your computer or MP3 player, no problem. If you’re ripping your CDs and putting them into your Kazaa folder, they’re going to sue you. Rip One For The RIAA! With that in mind, start the new year off right and rip one for the RIAA. 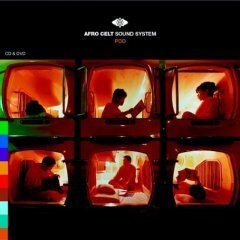 I’m starting the year off by ripping Afro Celt Sound System’s Pod – a great CD that combines traditional acoustic instruments with elements from the worlds of DJ remixes and techno. After that, I may tackle some CDs from the Thievery Corporation or the new 3-CD Blade Runner soundtrack. Then maybe a little Kraftwerk, Crystal Method and some Serge Gainsbourg, to mix things up a bit. Whatever your musical tastes, though, remember that copying CDs for personal use is authorized by the RIAA, it’s fair use and it helps save the environment! So take some time today to rip one for the RIAA! Update: More commentary on this at TechDirt. The RIAA site doesn’t say it’s legal to rip a CD to your computer or iPod for personal use. In fact, it implies that it’s illegal because there isn’t a royalty paid on the medium (like cassettes and CD-Rs have). It simply says that burning to your hard drive “won’t usually raise concerns”. It’s pretty clear that the RIAA is not challenging fair use rights in this case – it’s saying that it’s no longer fair use when you share your ripped music with the world via Kazaa. When you read that the RIAA is trying to get rid of fair use with this case, don’t you think that maybe, just maybe, somebody’s more interested in getting hits than getting things right?